Continuing to Drive a Lemon After Making a Claim in Virginia | The Consumer Law Group, P.C. 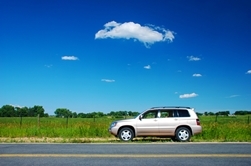 Can I keep driving a defective car while waiting for a Lemon Law ruling? Despite finding a defect in your new car that the manufacturer has been unable to fix, you may be in a situation where the car in question is your only car and you have no choice but to drive it until a decision is reached and you are issued a refund or a replacement of the car. Because the car is still your property, you can continue to drive it until your Lemon Law claim is resolved, but you should be aware of what it could cost you. The first question to consider is whether the car’s nonconformity affects the safety of the vehicle in any way. When a Lemon Law claim is based on a safety defect, the manufacturer is usually only given one chance to fix the defect, so the Lemon Law process should be quicker than it is with a non-safety-related defect. However, if the problem with the car compromises the safety of the driver and passengers, you should stop driving the car immediately. Virginia’s Lemon Law considers a defect to be a serious threat to safety if it is a life-threatening malfunction that prevents the driver from controlling or operating the motor vehicle under ordinary conditions or creates a risk of fire or explosion. When you win a Lemon Law claim, the manufacturer will either replace the vehicle with a vehicle of comparable value or refund the purchase price of the vehicle. In both cases, however, any damage to the car you are returning beyond normal wear and tear will be deducted from the value. So, if you damage the car in any way while waiting for your claim to be resolved, the value of that damage will be deducted from the refund. It will be up to you to weigh your need to drive the car against the potential for damaging it. Many Lemon Law claims can be resolved without the help of an attorney. However, if you are having a hard time with the dealer or manufacturer, you may want to contact an attorney to represent you. The Consumer Law Group is experienced in Virginia Lemon Law and is here to help when your claim gets complicated.